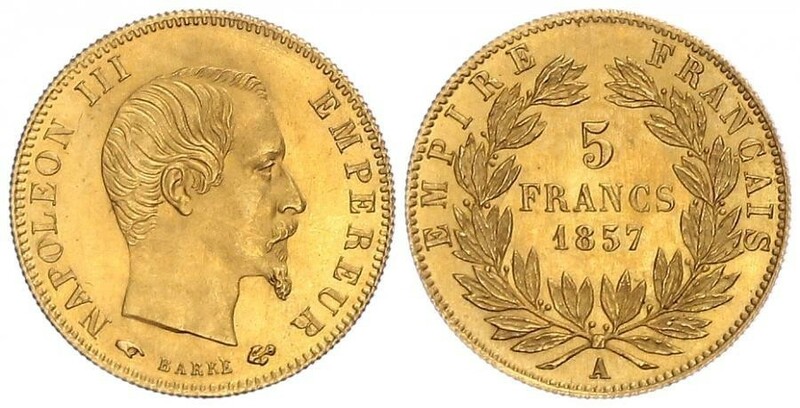 Napoleon III AV 5 Francs 1855 A France, second Empire. 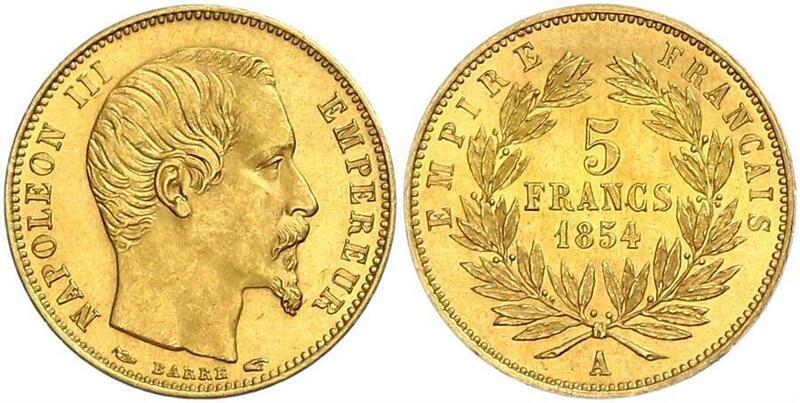 Napoleon III (1852-1870). 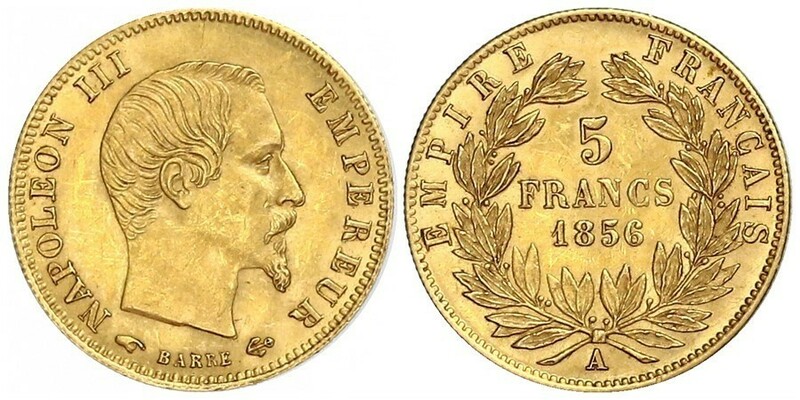 AV 5 Francs (14 mm, 1.62 g), petit module, tranche strieé. KM 783. Superbe. 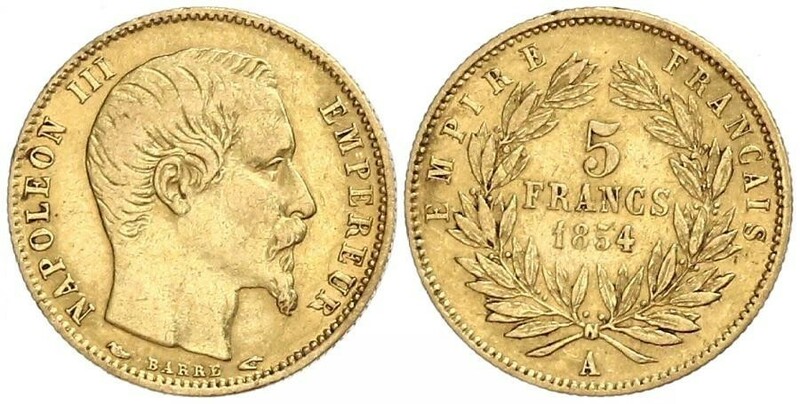 5 francs or, Paris 1860. Atelier et date variés. 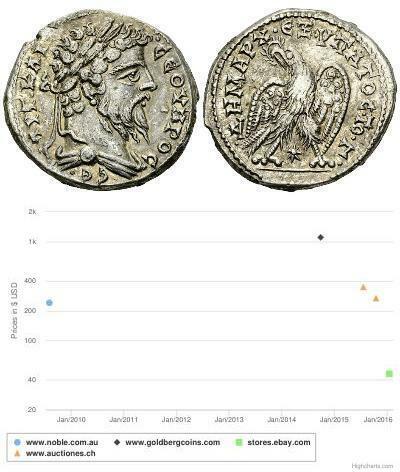 Différent : main. - Références : Gadoury 1001 - Friedberg 578a - Or. 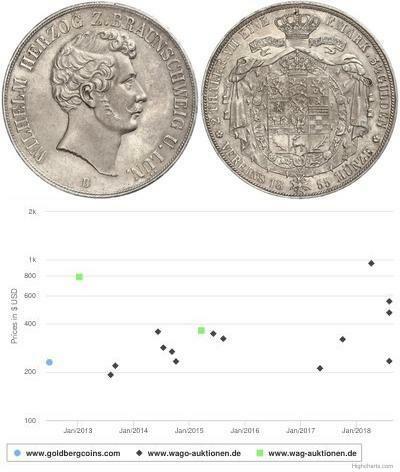 1,62g. Superbe. Rare en cet état. 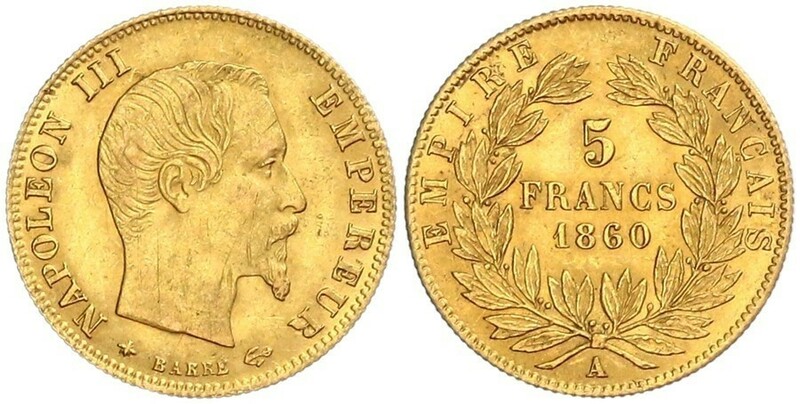 5 francs or, Strasbourg 1858. Atelier varié. - Références : Gadoury 1001 - Friedberg 579 - Or. 1,60g. 31 488 ex. Très Beau. Rare. FRANKREICH II. Kaiserreich. 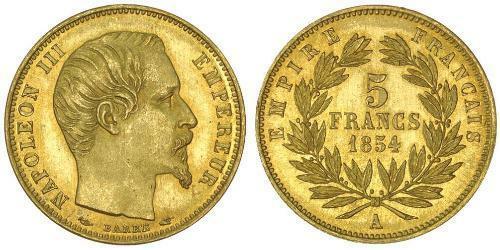 Napoleon III. 1852-1870. 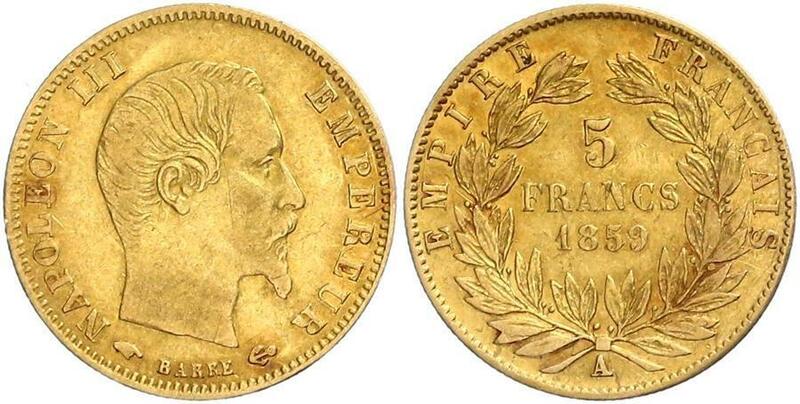 5 Francs 1854, Paris. Petit module. 1.62 g. Gadoury 1000. Schl. 317. Fr. 578. Glatter Rand. Winz. Rdf. Gutes vorzüglich. FRANKREICH II. Kaiserreich. 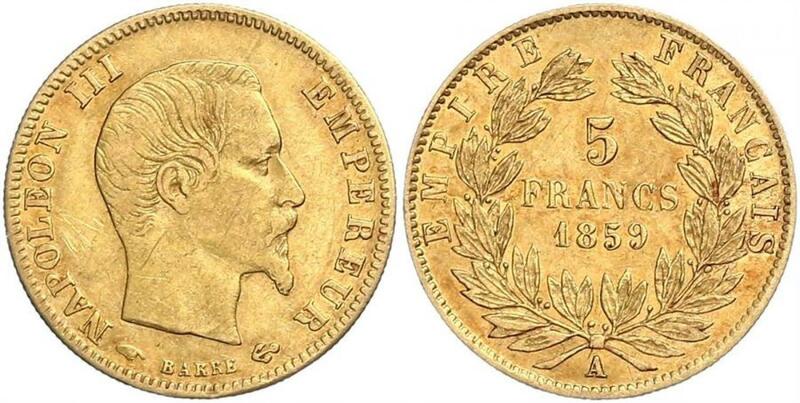 Napoleon III. 1852-1870. 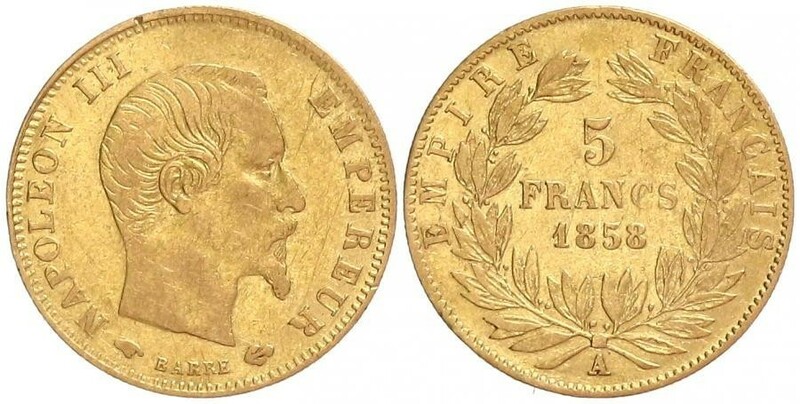 5 Francs 1854, Paris. Petit module. Glatter Rand. 1.59 g. Gadoury 1000. Schl. 317. Fr. 578. Gutes sehr schön. FRANKREICH II. Kaiserreich. 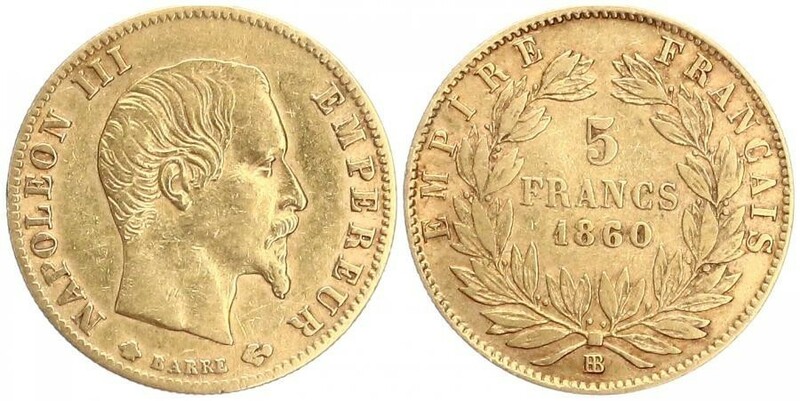 Napoleon III. 1852-1870. 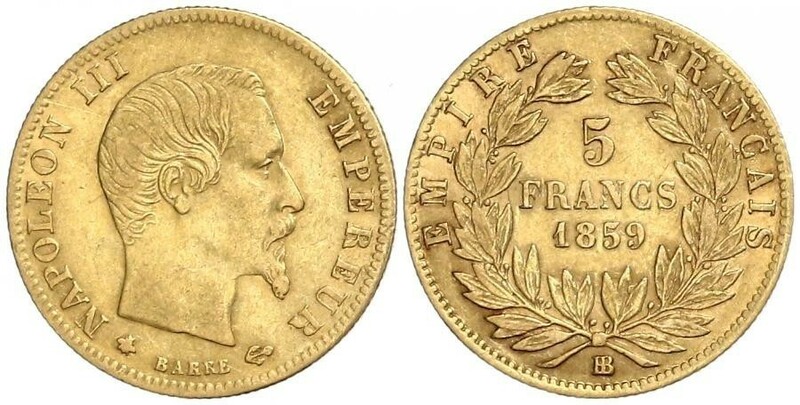 5 Francs 1854, Paris. Petit module. Glatter Rand. 1.61 g. Gadoury 1000. Schl. 317. Fr. 578. Sehr schön-vorzüglich. 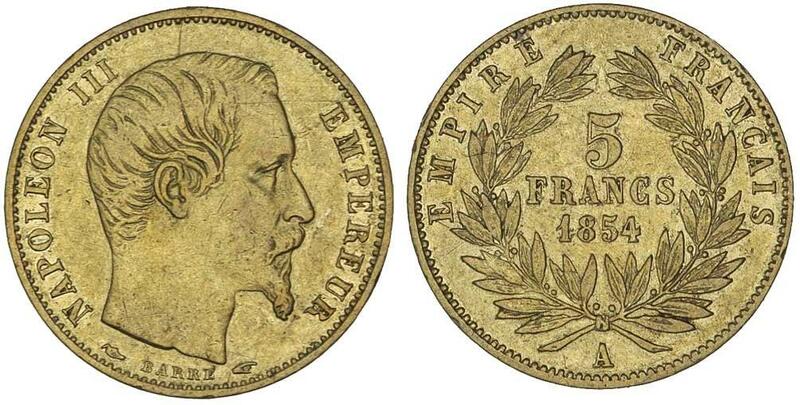 FRANCE, Napoleon III, five francs, 1859A (KM.787.1). Nearly uncirculated. 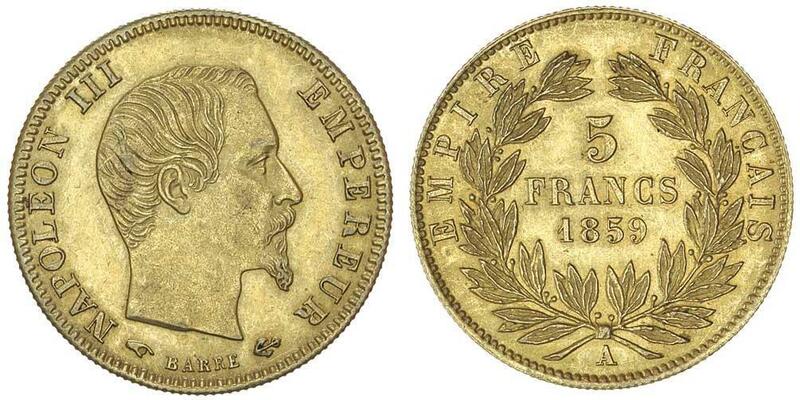 FRANCE, Second Empire, Napoleon III, five francs 1854A Paris mint, plain edge (KM.783). Small old scratch on neck, otherwise uncirculated. 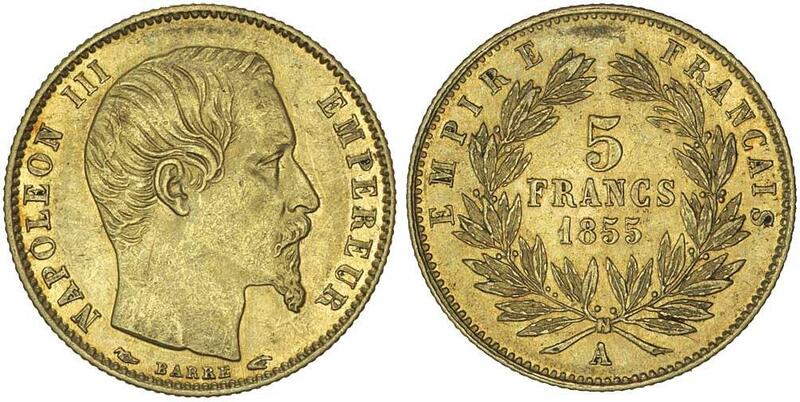 FRANCE, Second Empire, Napoleon III, five francs 1854A Paris mint, milled edge (KM.783). Uncirculated and scarce. 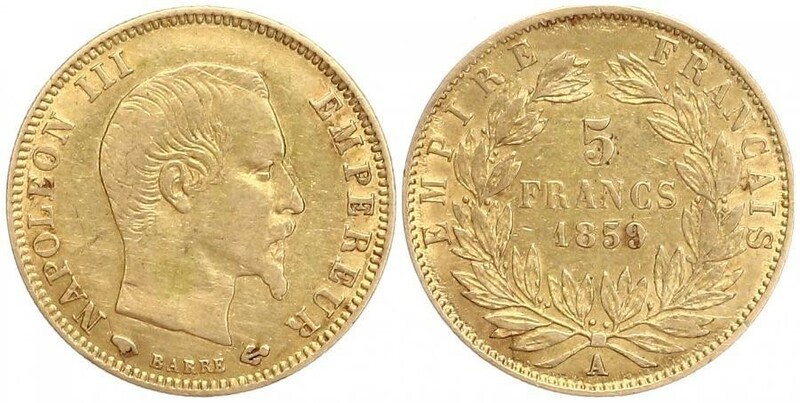 FRANCE, Napoleon III, gold five francs, 1854A (KM.783) plain edge. Nearly extremely fine. 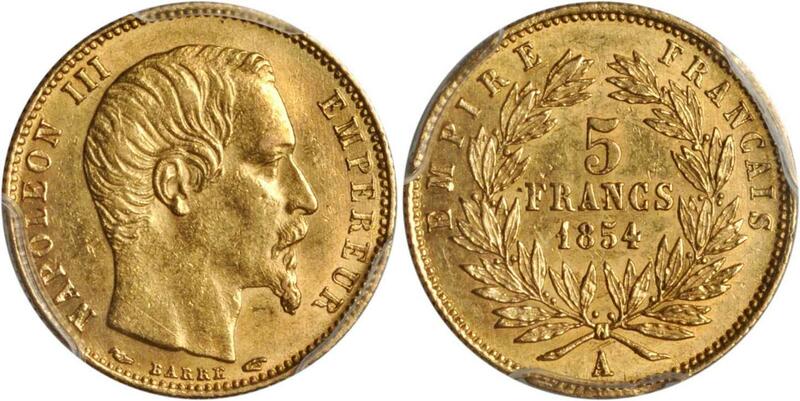 FRANCE, Napoleon III, gold five francs, 1855A (KM.783). Extremely fine.